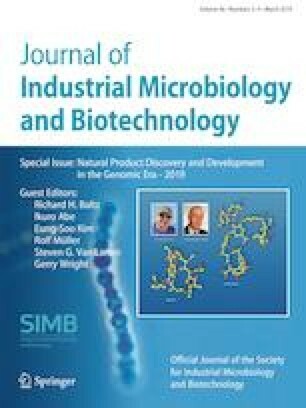 Geobacter bacteria assemble a helical peptide of the Type IVa pilin subclass as conductive pili decorated with metal binding and reduction sites. We used recombinant techniques to synthesize thiolated pilin derivatives and self-assembled them on gold electrodes as a monolayer that concentrated the metal traps at the liquid interface. Cyclic and step potential voltammetry demonstrated the conductivity of the pilin films and their ability to bind and reductively precipitate divalent cobalt (Co2+) in a diffusion-controlled reaction characterized by fast binding kinetics, efficient charge transfer, and three-dimensional nanoparticle growth at discreet sites. Furthermore, cobalt oxidation at the pilin film was slower than on bare gold, consistent with a peptide optimized for metal immobilization. These properties make recombinant pilins attractive building blocks for the synthesis of novel biomaterials for the immobilization of toxic cationic metals that, like Co2+, are sparingly soluble and, thus, less mobile and bioavailable as reduced species. The online version of this article ( https://doi.org/10.1007/s10295-019-02167-5) contains supplementary material, which is available to authorized users. This work was supported by Grant EAR1629439 from the National Science Foundation. G.R. also acknowledges support from the USDA National Institute of Food and Agriculture (Hatch project 1011745). GR. is co-founder and Chief Scientific Officer of BioElectrica Inc., a startup that uses microorganisms to advance waste to energy technologies.